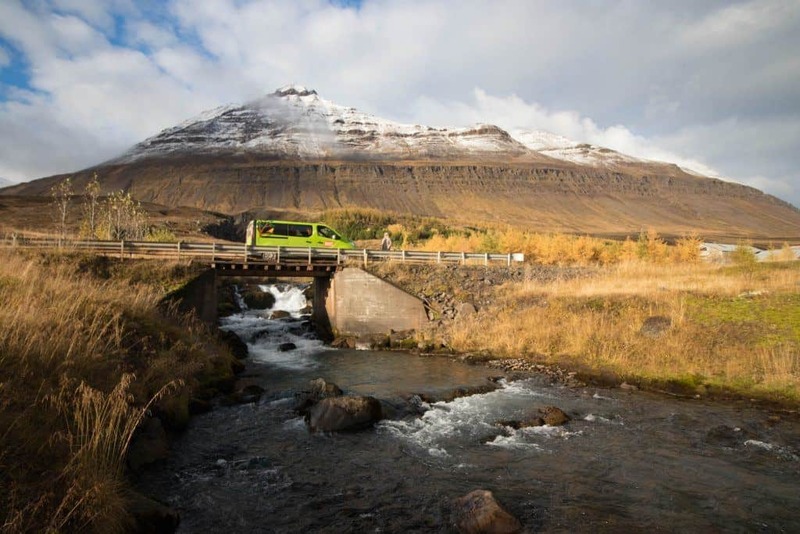 Driving around Iceland in a campervan is a nature lover’s dream vacation. After all, one does not go to Iceland to spend all their time in a hotel room, but most don’t want to brave the cold nights in a tent. The Ring Road, or Route 1, is the road that circles the entire island nation of Iceland. We’ve talked about this fantastic journey several times before, but its popularity means we get a lot of requests for more insights to travel in Iceland. Exploring Iceland in a campervan is one of the best ways to tackle the Ring Road, but you’ll want to read a few tips before you get started. 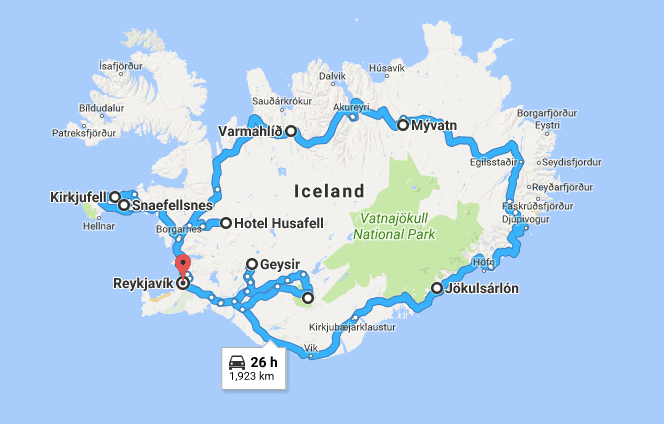 Tips for a Campervan Trip in Iceland? The name of the Ring Road should be pretty self-explanatory. 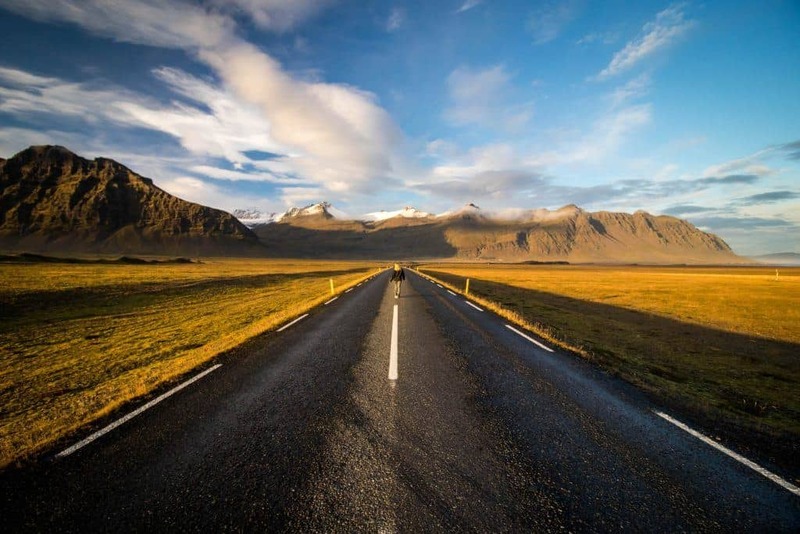 It’s a road that covers around 1,300 kilometers and circumnavigates the whole country of Iceland. The whole route should take about 16 hours if you drive non-stop – but who wants to do that? It’s impossible to nail the perfect Ring Road itinerary. Our biggest suggestion is to travel at your own pace, it doesn’t matter if you go fast or slow or if you miss some sights along the way. Just as long as you happy traveling at the pace you are going. If you’re looking for a good amount of time we’d suggest somewhere between one to two weeks. We went with 10 days and it felt like an ideal amount of time. It left us wanting more, but never tired of the trip. When planning your itinerary, map out all your stops. There will be plenty of unplanned stops along the way and it’s best not to feel rushed. We try our best to avoid setting our days to a strict timetable because we know we will never be happy if we do that. 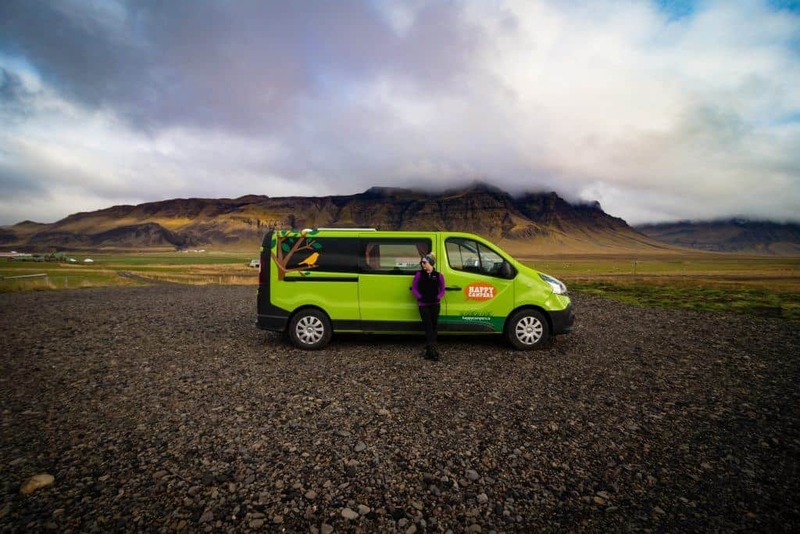 One of the first steps in planning your Iceland campervan trip is to determine your rental company. We drove around the Ring Road in a Happy Campers van and loved it. Happy Campers is family run by local Icelanders and you can find the whole family involved. We were checked out by the Sverrir or the “Happy Boss.” While his son was responsible for setting up our booking and another picked us up from the airport. They’re very much a family business wanting to show visitors the best of the country, and something we really appreciate. The van comes with all you could need for a camping trip in Iceland. It has awesome features such as a heater for the cold nights, running water sink, and a fridge/freezer. If you want to learn more read our Happy Campers review. You should be prepared to drive a manual van. As with the rest of the world (besides the US), most of the campervans in Iceland are manual, but there are a few automatic vehicles. If you do require one an automatic vehicle make sure to book well in advance and expect to pay a premium for it. Consider the size of your campervan before you book. There is a few different size options ideal for one, two, three, and up to five people. We went with a Happy 2 for the two of us. The van was spacious and comfortable for two people. However, with a larger campervan comes reduced fuel economy so you’ll be paying more for that larger vehicle in more ways than one. Gas is really expensive in Iceland, almost $8 a gallon. Think carefully about the campervan model you choose. When checking out a campervan in Iceland you have a lot of options for choosing insurance. Happy Campers includes CDW as it is mandatory in Iceland. If you go with the standard insurance your liability limit is €2500. They also offer packages that reduce the waiver, sand damage, and gravel damage. We went with the gravel insurance, but I personally found it to be a waste, as the roads were great in Iceland during October. Had we traveled during the winter and windier months, I believe it could have come in more useful. Also, look into what your credit card covers for auto insurance. Most American credit cards offer auto rental insurance as a benefit and I would recommend calling your credit card company beforehand to double check what they cover. If you don’t have a credit card it’s definitely time to get one as it’s an important part of travel banking. In the lead up to our trip to Iceland, we came from a North Coast 500 road trip in Scotland and a road trip around the Faroe Islands so we knew what to expect. The North Atlantic and Iceland have some seriously high winds. When you’re exiting a car make sure to hold firmly to your car door – otherwise it may blow right off the car and that isn’t covered by insurance. We’re not kidding! Expect it to be pretty cold in Iceland. Our campervan had a heater we could run all night if we wanted and it kept us toasty warm in the brisk Autumn air. If you’re renting a van without a heater or you don’t want to run the heat all night bring a warm sleeping bag. If you’re really looking for comfort I would suggest a down comforter from home. The beds in campervans can be extremely firm so a camping pad will make all the difference. When you’re ready to camp for the night make sure to park the van on level ground unless you enjoy sleeping with your feet higher than your head. The key here is to bring everything you’re comfortable with to make the van feel like home for the next week or few days. Tip* If you really enjoy brewed coffee like us bring a french press. Be prepared to shell out some money when you head to the pump in Iceland. Gas costs nearly $2 USD a liter or $8 a gallon. We also found American credit cards do not work at many of the pumps. To pay, make sure you ask an attendant to unlock the pump and then pay afterward inside with a credit card. Or you can pay with a debit card that has a pin number. Make sure to be aware of distances in between fuel stations, granted we found them all over Iceland and never ran low on fuel. For our 10 day itinerary, we spent around $400 on fuel – YIKES. Make sure to budget for this one, as it’s easy to forget. Remember that you’re traveling around Iceland in a campervan. The smallest models don’t leave a lot of room for a massive checked bag. The obvious thing to pack is warm weather clothing. A great option is to pack a duffel bag or backpack that has soft sides and can be stuffed under a seat. Of course, always pack down jacket, sweater, wool socks, and a travel towel. The towel is really important if you plan to go to hot springs and public pools. We have a post on what to pack for Iceland if you want more clothes recommendations. It should also go without saying that Iceland is seriously photogenic so you’re going to want a great camera for travel photography. Here are some things we’d recommend to make your campervan more at home in Iceland. It’s crucial to keep your van organized on your Iceland trip, this is important in more ways than one. It won’t take long to figure out that loose items in the back have a habit of shifting everywhere. We worked hard to keep the back of the van organized so we didn’t lose anything. This meant we could easily access anything and it kept the small space from turning into a pigsty. Ten days in a van with two people it would be easy to let everything get out of hand. Also, pick up a few basic cleaning supplies like a rag and multi-purpose cleaner. Our van came with a brush that we used to keep our floor clean. Without this, the van would have been a disaster zone. If it’s your first time camping, we can not recommend bamboo baby wipes enough as they make it easy to keep yourself fresh. Of course, any baby wipe will do, but they are terrible for the environment so try to opt for biodegradable ones. You can not camp freely in a motorized vehicle in Iceland. It is required by law that you have written permission from the landowner, or in other words, a receipt. There are a plethora of campsites around Iceland in the summer and Happy Campers created this map on their website to help you find one. Campsites in Iceland are generally decent with facilities such as showers, toilets, and sometimes even WiFi. The majority of campsites close down for the winter though. We drove the Ring Road in October and found many of the campsite to have already closed on September 30th. The availability of campsites will depend on the time of year. Traveling in October, we found it to be hit or miss. The good news is that you can still camp at most sites 365 days a year for free; you just won’t have access to facilities like toilets during the offseason. Remember when I mentioned baby wipes? The average camping fee ranges from 1000 ISK ($10US) to 2000 ISK ($20 US) per person, per night. Many times showers are not included in this price, and cost 300-500ISK for a three to five-minute shower. That’s why we love getting naked in Iceland’s public swimming pools instead. Natasha and I are no strangers to prepping easy meals, and we’ve gotten better over time. Campervans don’t provide a ton of prep space so it’s best that you stick to simple meals. If you want to learn about food costs we have outlined them in our guide to grocery stores in Iceland. Soup: We love to make soup because it’s delicious, requires one pot, and it fills you up. For an easy and healthy soup, Cameron recommends the following: Saute onions in a pot until translucent, add mushrooms, tomatoes, vegetable stock (bouillon cubes to save space), rice, potatoes, carrots, and season with paprika. If you’re a meat eater cook it first with the onions. The key to a soup is layering flavors and letting it simmer for a long time. Pancakes: Who doesn’t love pancakes? They’re dead simple and when you top them with peanut butter they’ll keep you going for hours. For camping, we suggest the premade mix from the store. Pasta: Roasted red pepper, pesto, avocado, or mushroom stroganoff there are countless variations of pasta you can make. We love to mix them with frozen veggies when camping in Iceland. Fresh produce is expensive in Iceland! Newsflash! Iceland is expensive and alcohol costs are obscene. A bottle of the budget vodka Smirnoff costs $70. You are permitted to bring a bottle of your own booze into the country, so we came prepared with a great bottle of gin from the U.K. If you’re worried about the weight or a bottle breaking your next option is to purchase alcohol at the Airport in duty-free before you enter the country. Outside of duty-free stores at the airport, you can only purchase alcohol at the state-run stores called Vinbudin. There isn’t exactly the best time to visit Iceland, but there is a best time for each individual traveler. It’s about managing expectations and knowing what to expect. It is a country known for having a lot of wind, rain, and snow so it’s not always going to be sunshine and perfect days. Generally, if you want to see snow and the Northern Lights head to Iceland from October – February. If you want long days and more mild weather go in between the months of April to September. Just be warned the summer months are high season and everything including campervan rentals in Iceland will cost more. The more we travel the more we appreciate having travel insurance. Adventure travel, hiking, safari, snowboarding, and driving in foreign countries comes with an inherent risk. With the cost of healthcare and risk of needing medical evacuation we always carry travel insurance. Reliable travel insurance covers you beyond health as it can cover rental cars, missed flights, trip cancellations, and more. Our recommendation is to pick up a policy with World Nomads as they’re excellent at medium – short term plans. Be prepared for some long drives and plenty of time on the road. If you’re looking for a great travel playlist or music we’ve got you covered. Just make sure you download all your music to your phone as you may not always have a connection. Have we mentioned Iceland is expensive? Iceland is a credit card nation and we got by almost our entire trip without using cash. Make sure to pick up a decent rewards credit card so that you can earn miles, points, or even cash back on your purchases here. It’s the small expenses that are key to our success in saving for travel. 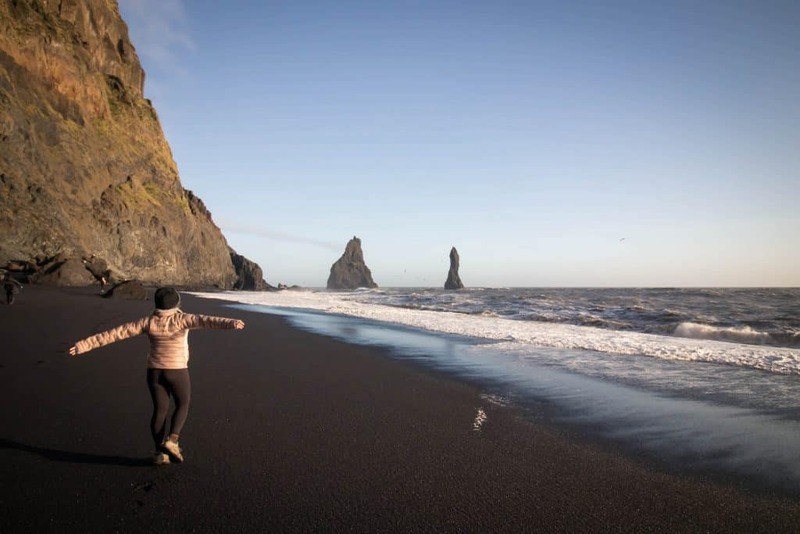 Book your Iceland camper rental! In my opinion, the best times to visit Iceland are June, July, September, October, and December – but it all depends on what you want! June-August is high season, but it is also summer in Iceland and when you will find the most pleasant temperatures. It’s also when you will experience the most amount of daylight and get the most of our of your trip. December is great because it is winter, you stand a strong chance of seeing the Northern Lights, it’s low season, and the temperatures haven’t gone to complete freezing yet. Iceland is mega expensive. One of the most expensive countries in the entire world actually. Make sure that you plan accordingly and in line with your budget. 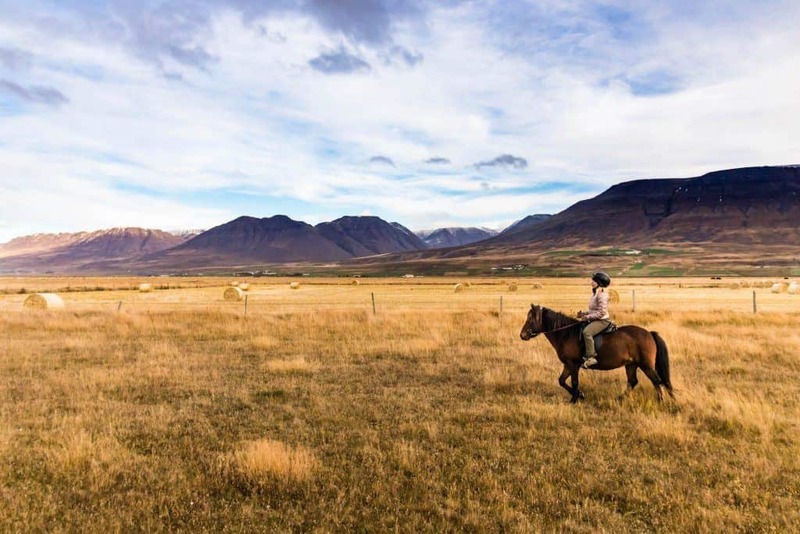 It’s certainly possible to do Iceland on a budget of less than $100 if you are camping, cooking all your own basic meals, and traveling by public transport or score a good deal on a rental. The good news is that nature is free, and you’ll be able to see Iceland’s beauty without paying for it. 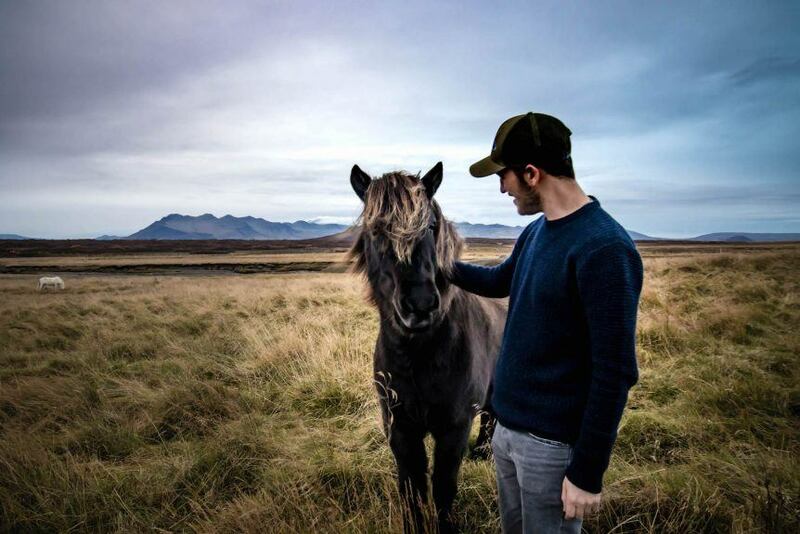 So yes – it’s completely doable to have an affordable camper van Iceland vacation. If you plan on drinking be sure to pick yo duty free alcohol before you leave the airport. A pint of beer can easily run you $15-$20! 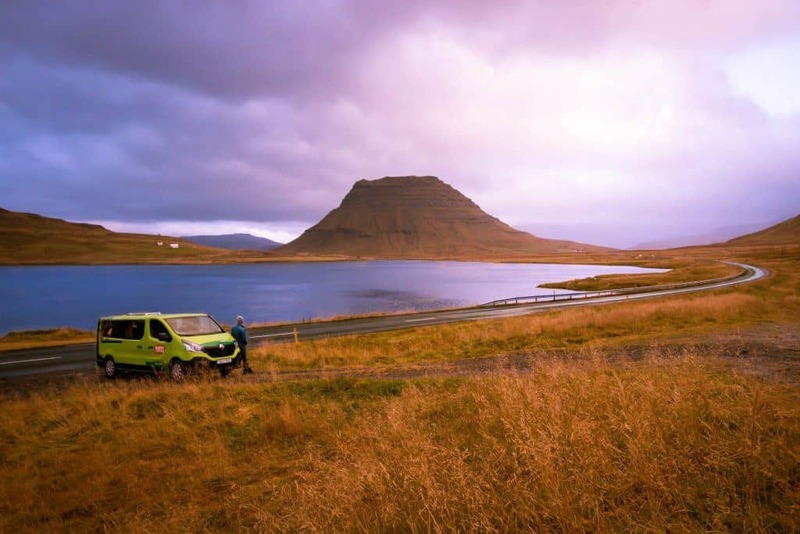 Happy Campers Review: The Best Campervan Company in Iceland?